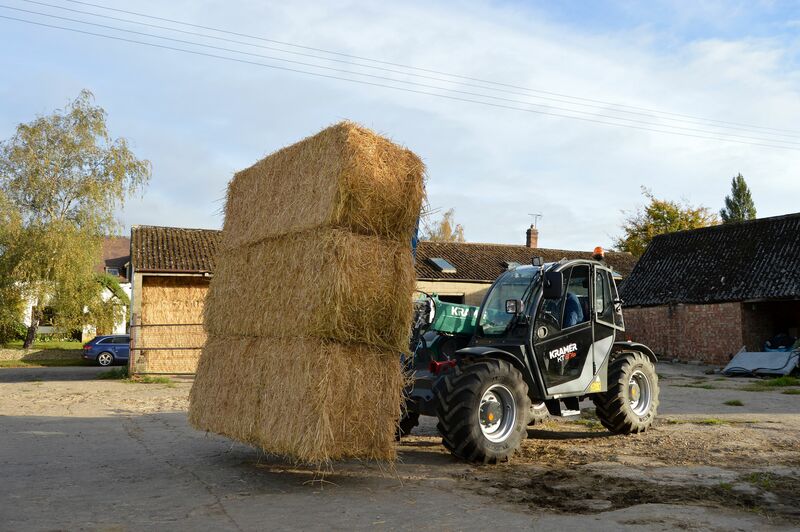 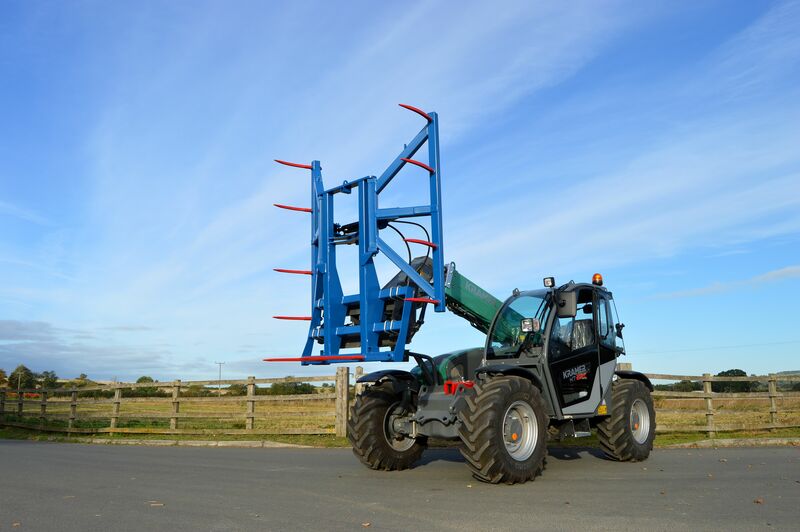 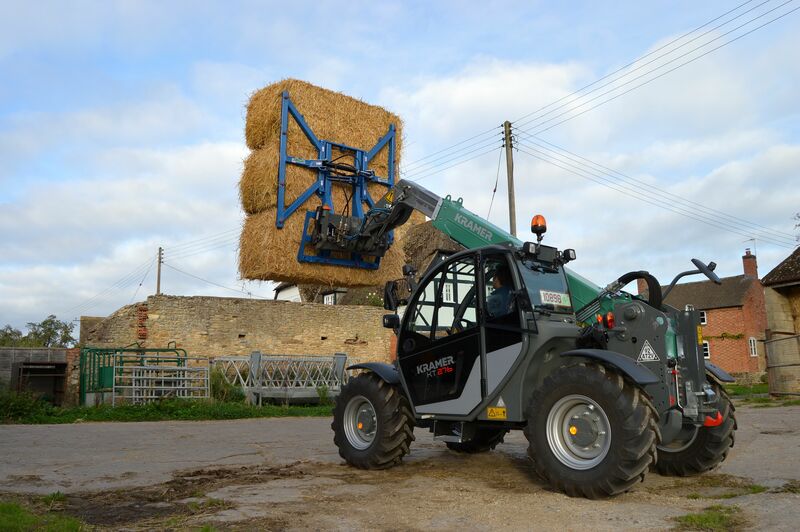 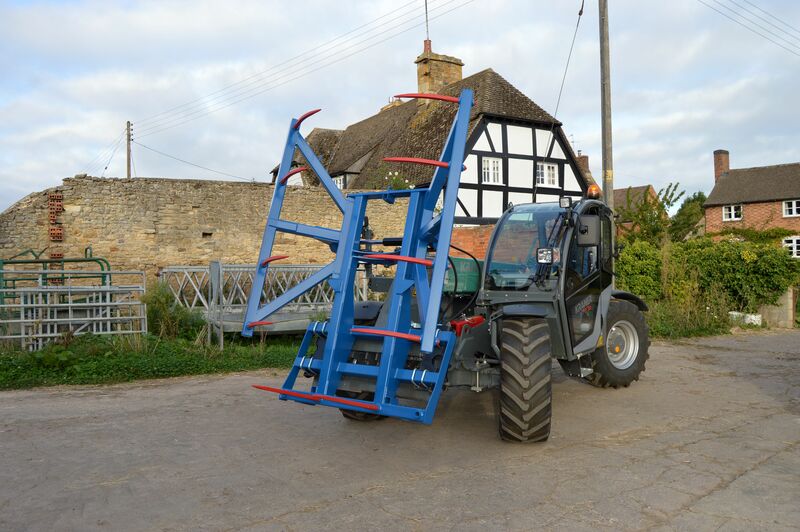 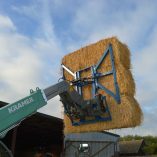 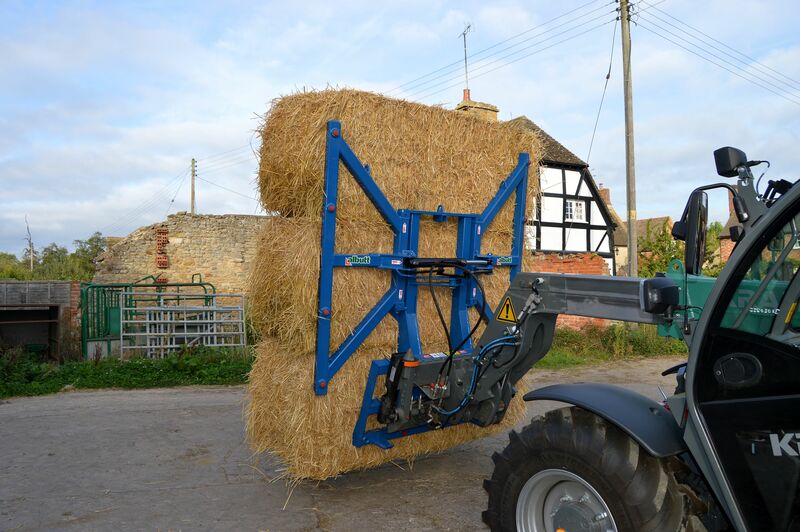 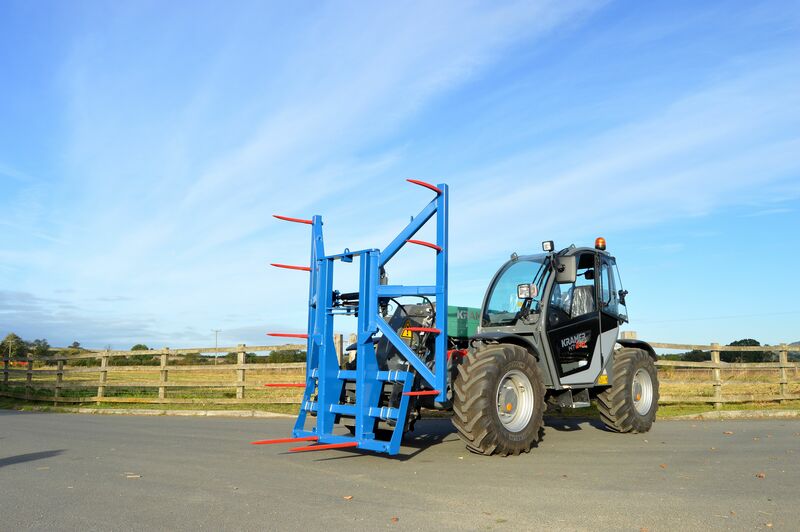 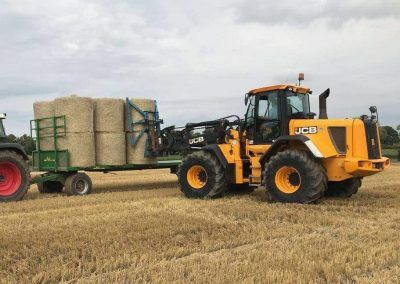 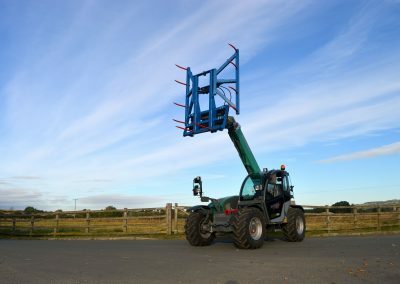 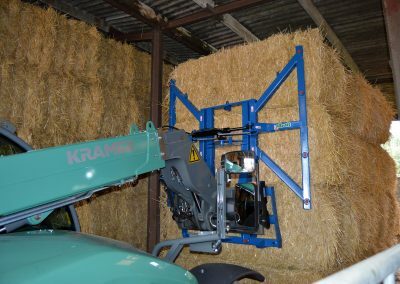 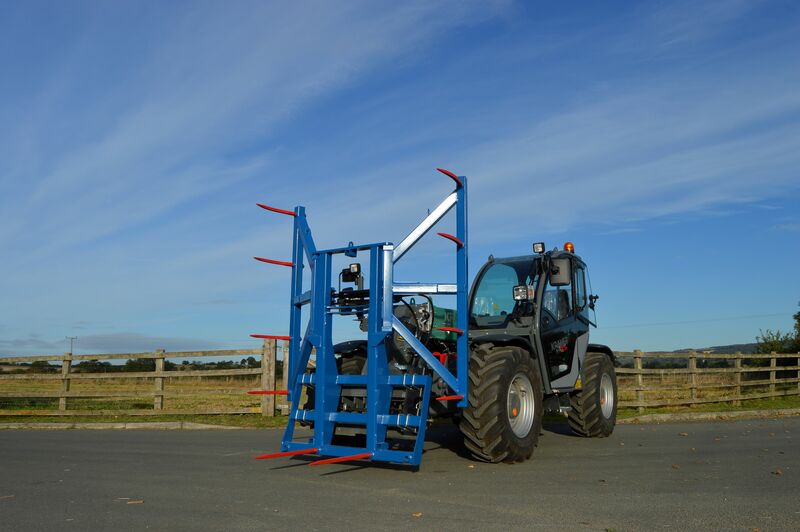 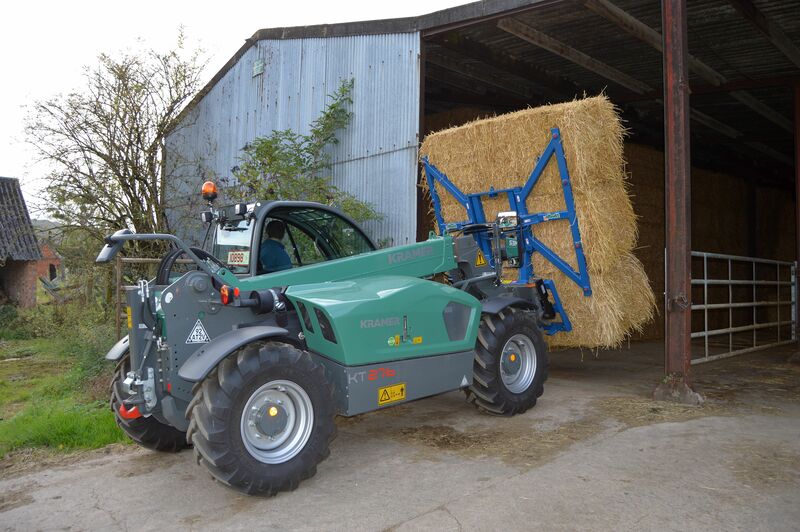 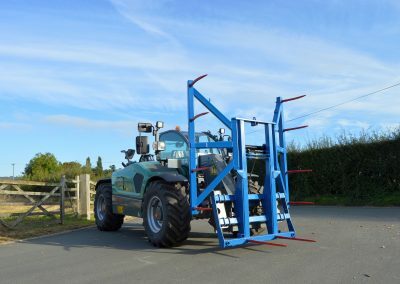 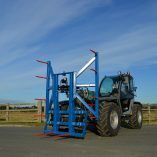 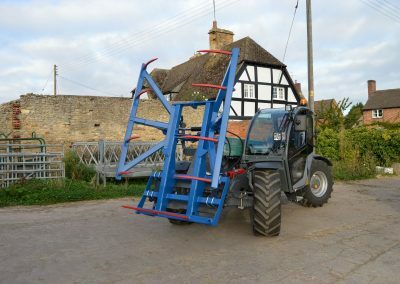 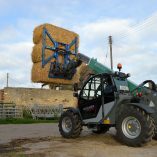 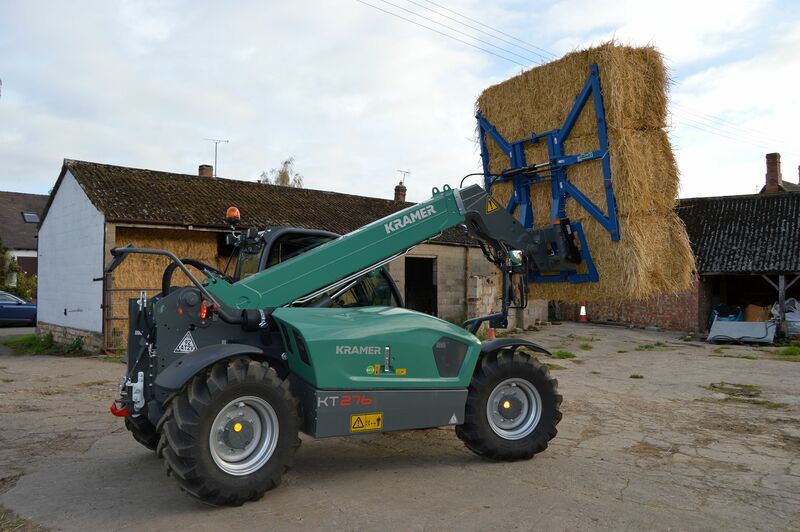 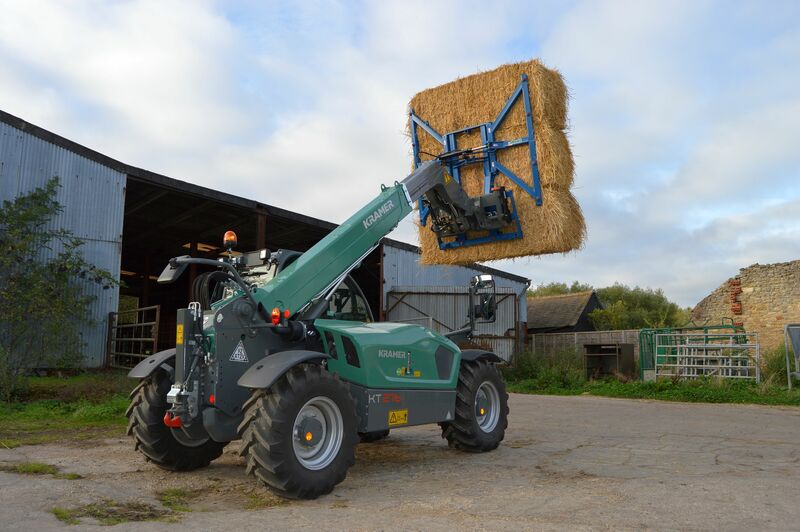 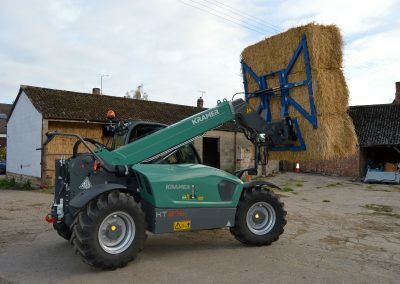 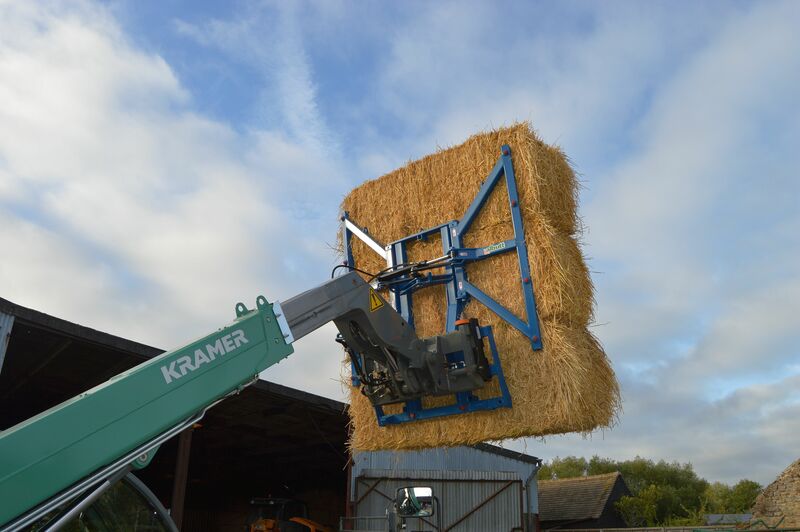 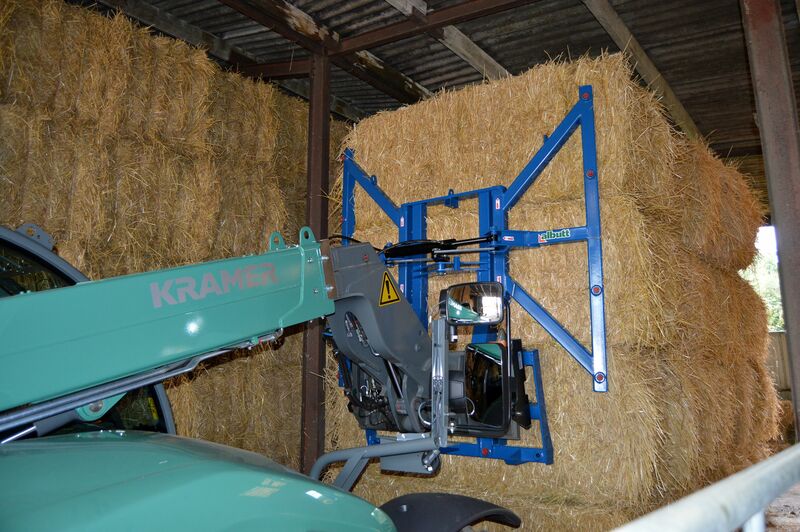 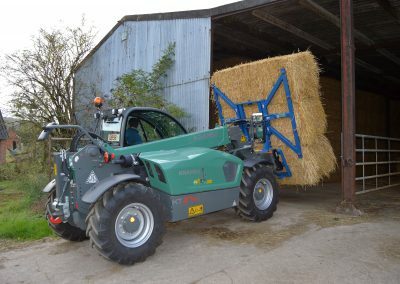 The Albutt F501 Multi Bale Stacker is designed to offer a quick and efficient means of moving and stacking round or square bales. 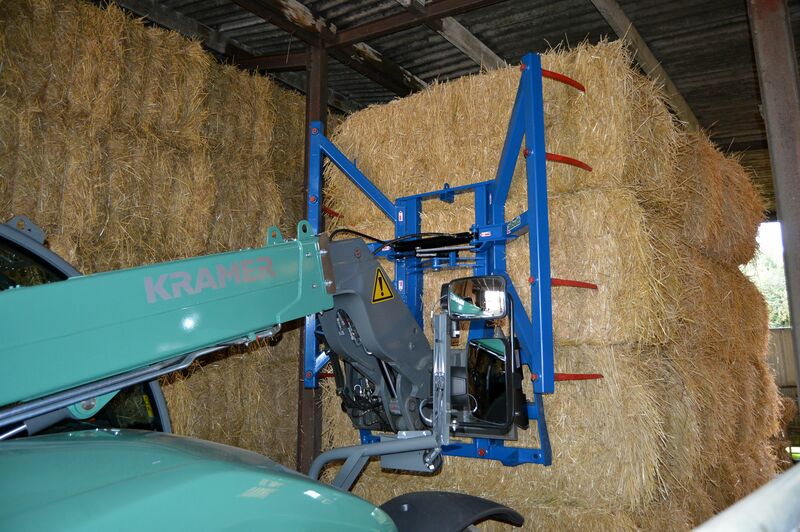 The F501 is designed to handle 2 x Hesston bales or 3 x Mini Hesston bales. 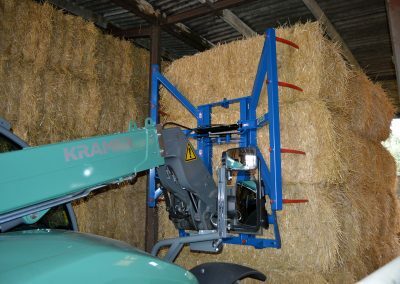 It features curved, KV type tines which simultaneously enter the bales for quick and easy stacking. 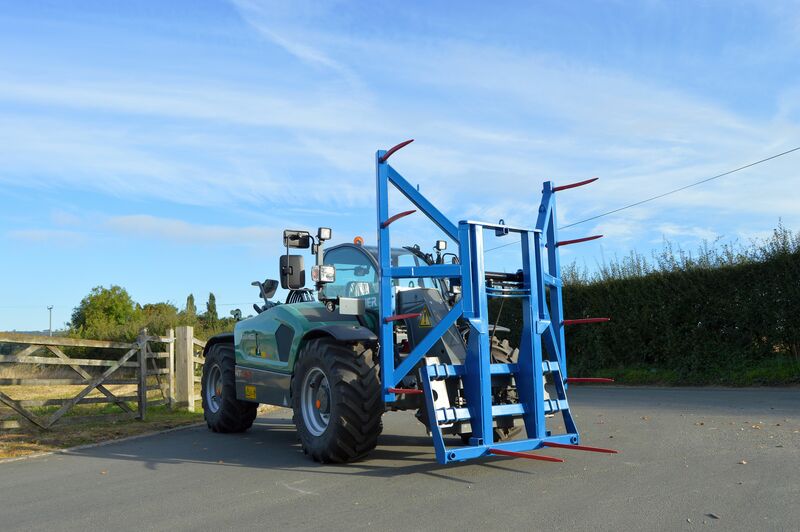 A single ram is mounted with Hardox bracing. Square bales are secured with 2 x straight base tines.